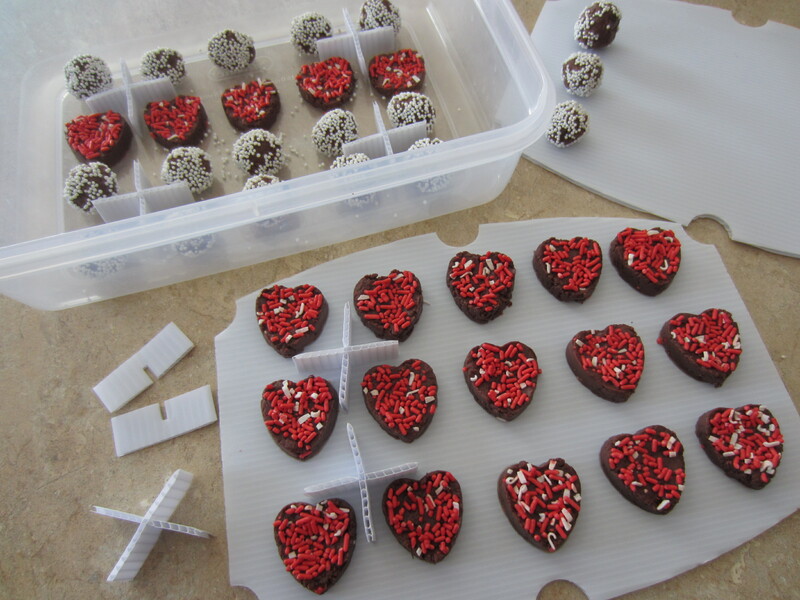 This is a super cute idea to send very thoughtful handmade Valentines to special people in your life. 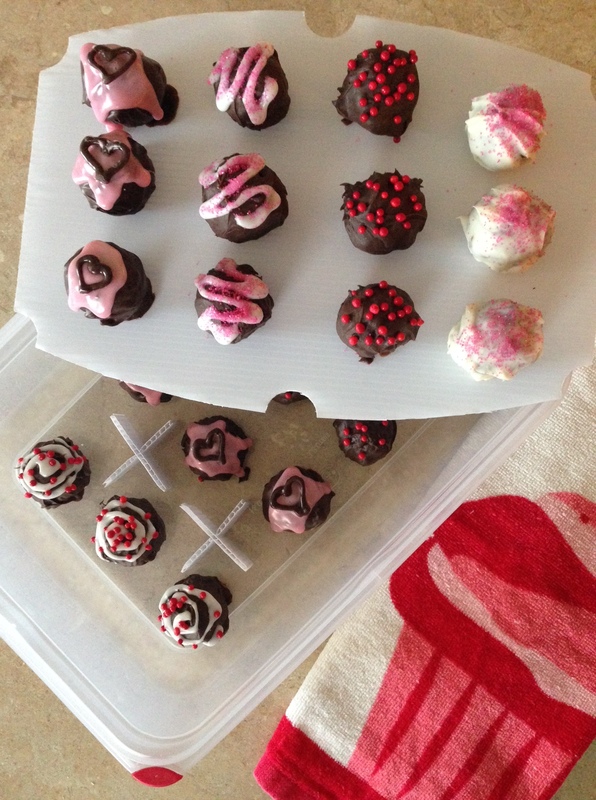 My kids just loved this project and they enjoyed delivering them even more! 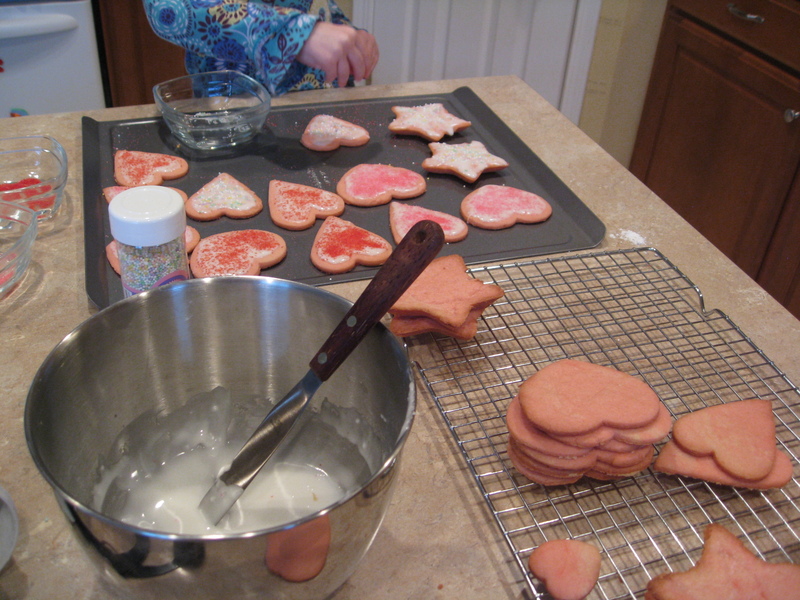 We started with a simple sugar cookie recipe and tinted the dough pink. 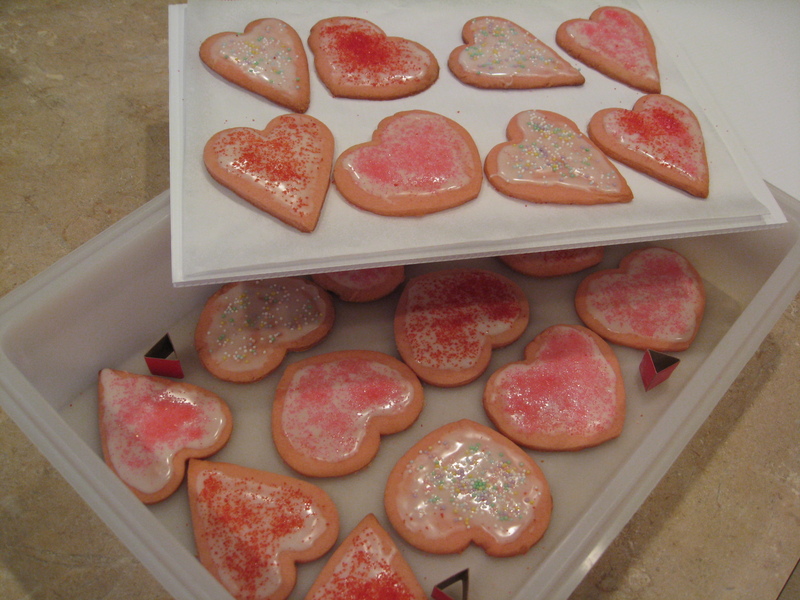 After rolling the dough, we used various heart shaped cookie cutters, placed them on a cookie sheet and baked them. 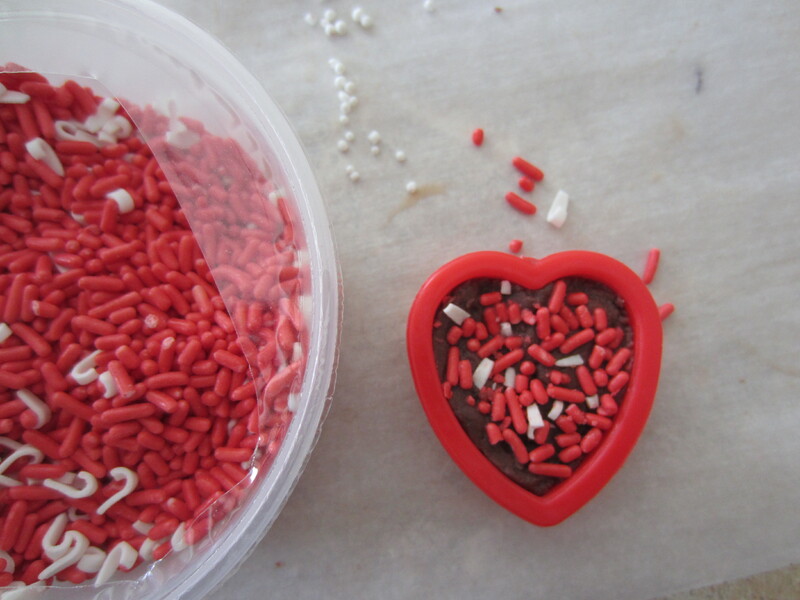 Once the cookies were cooled, we decorated the hearts with white icing and sprinkles. 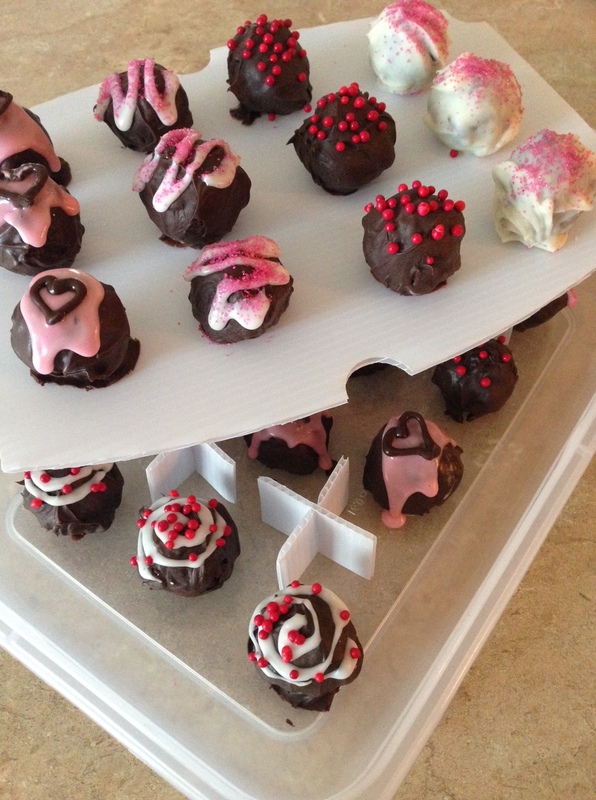 To let the icing dry, I stored them in an air tight container over night. 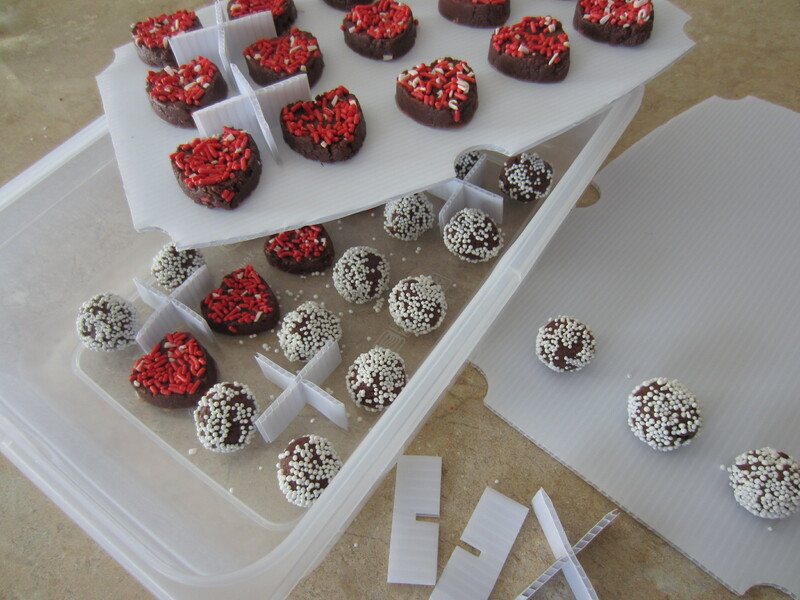 The next day, I had the packaging ready to go for the kids to put together. 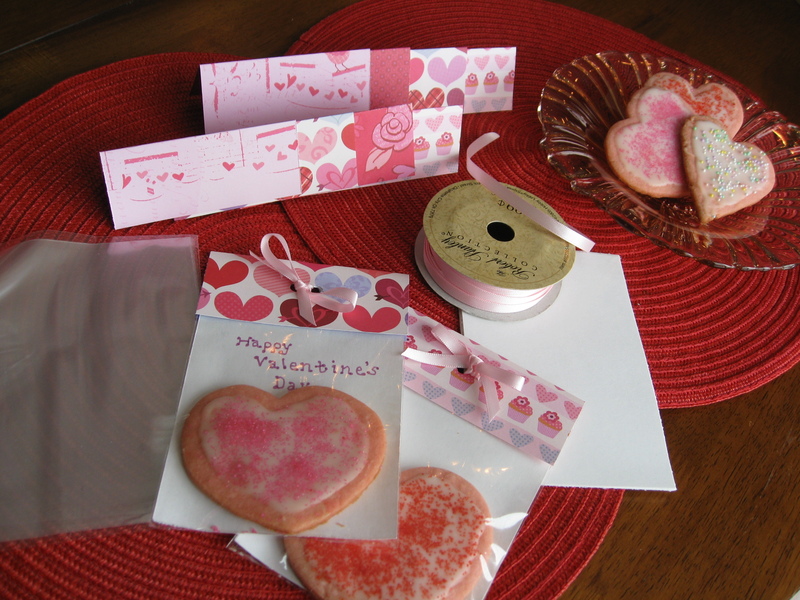 Using beautiful Valentine themed scrapbook paper, cut labels that are 4 inches long (2 inches folded) and the same width as the clear cookie bags. 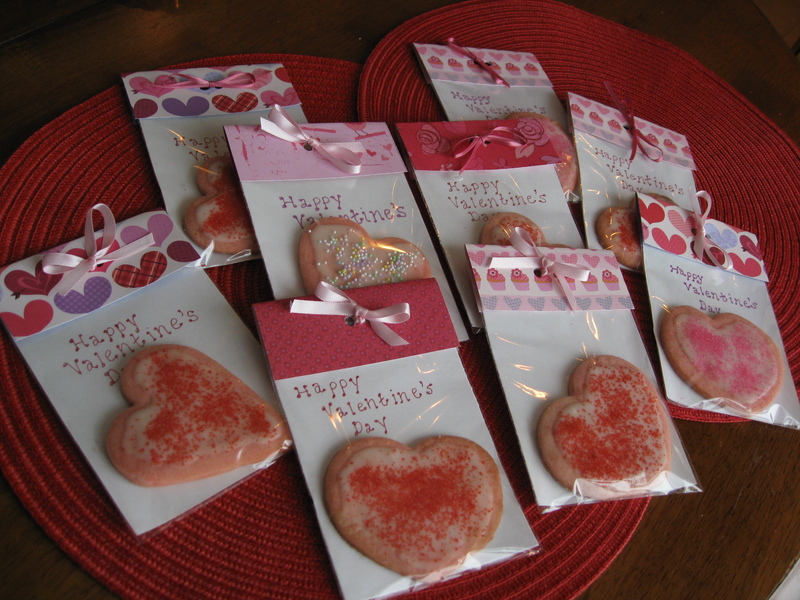 We wrote special messages on white card stock and inserted one piece in each bag. 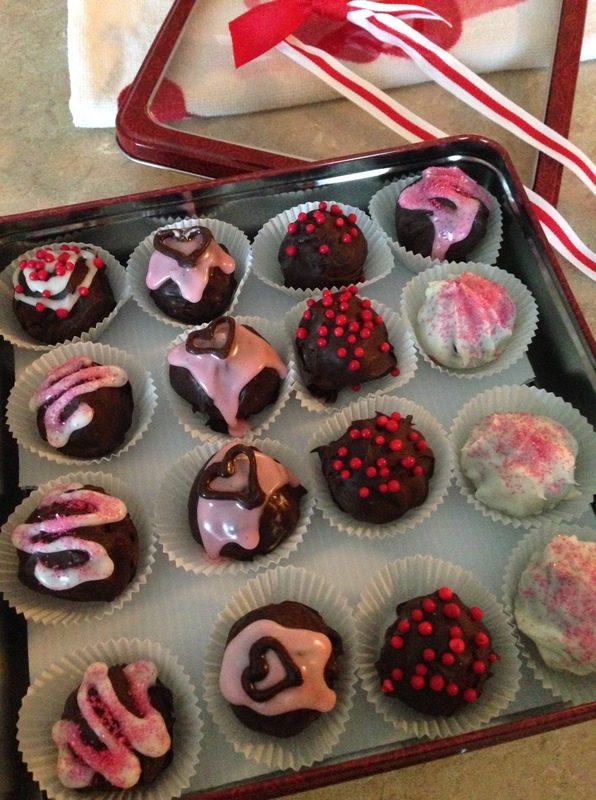 The kids inserted the cookies and I help them punch holes and tie bows with pretty satin ribbon. 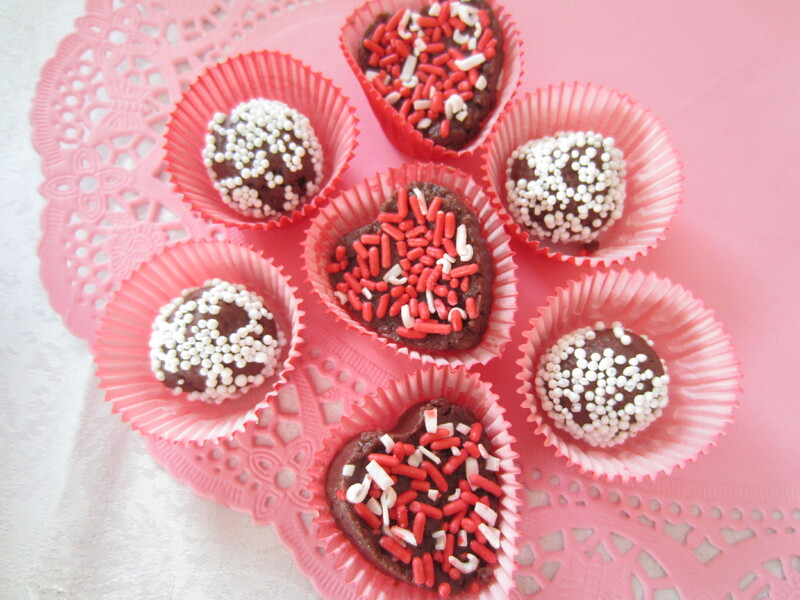 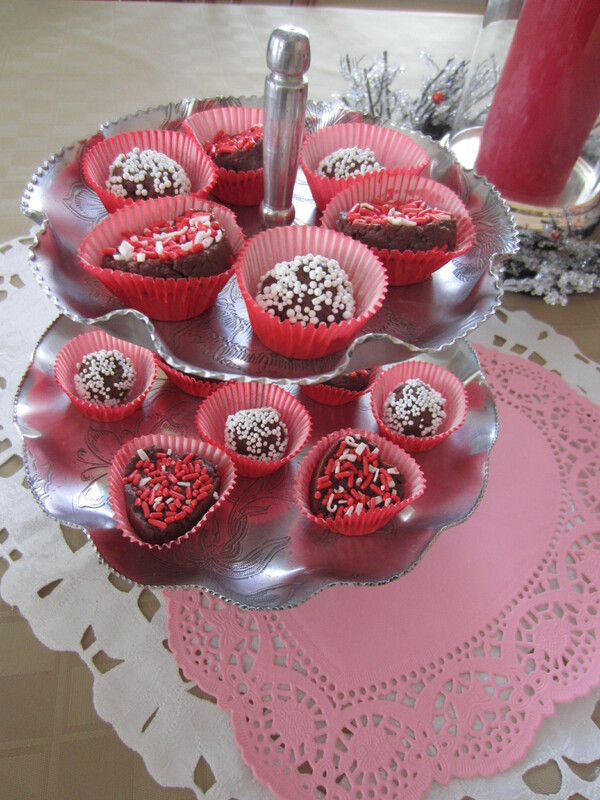 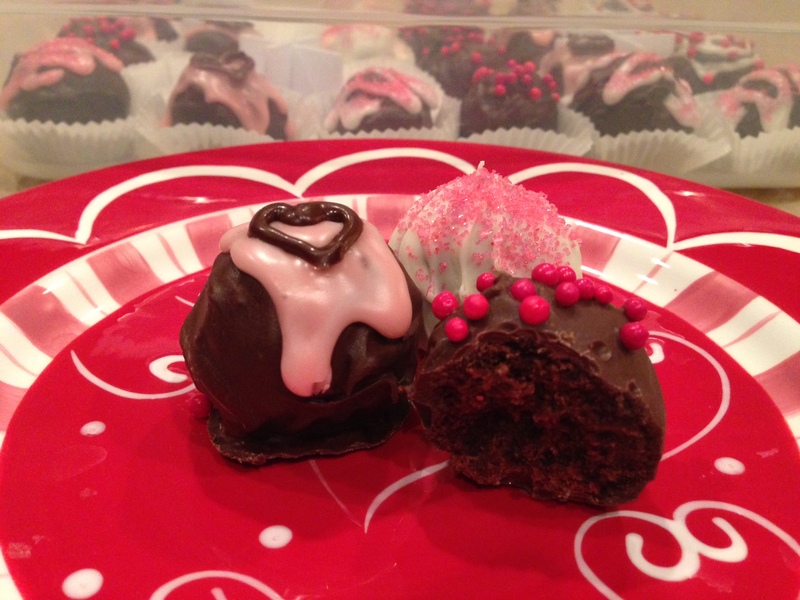 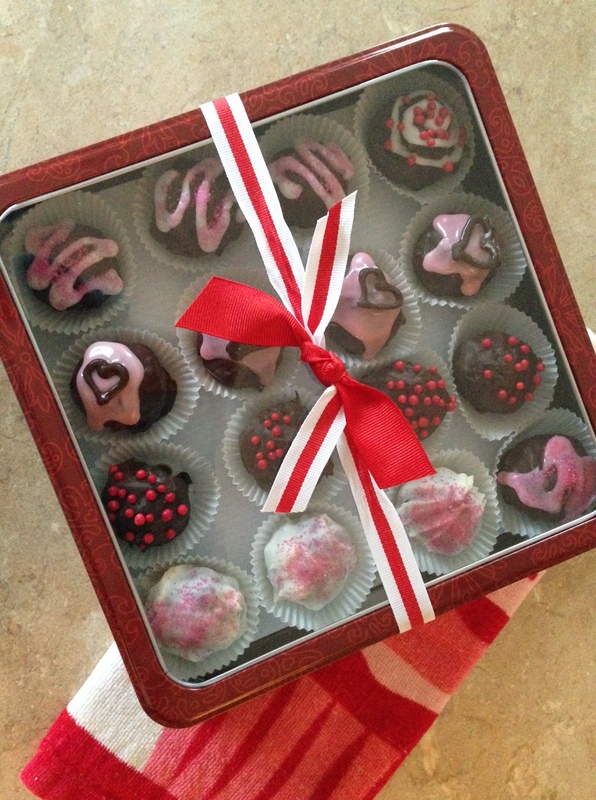 Each Valentine was hand crafted, special and made from the heart!